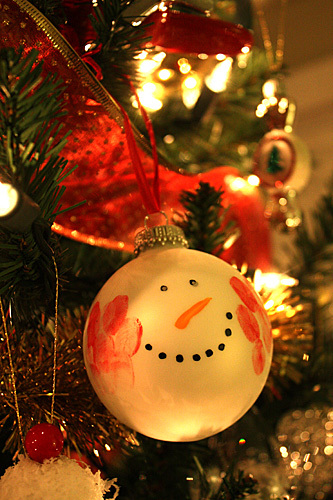 It has been a tradition in our household, that every year the kids make an ornament. 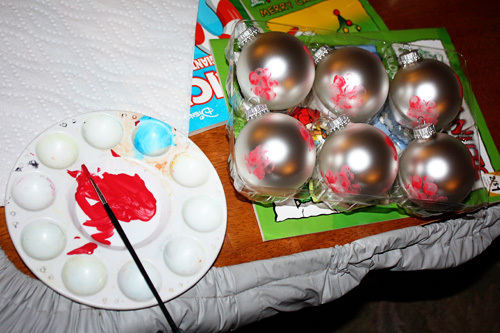 I have so much fun figuring out an ornament idea every year, and then working with them to create it. 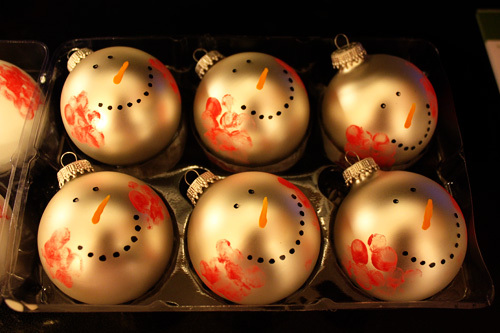 Usually I have a little trouble digging up ideas, but thanks to Pinterest, I had no trouble figuring out an idea for this years ornament. 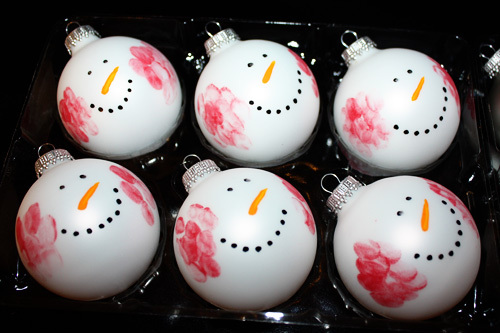 I decided to do snowmen ornaments, with the kids fingerprints being the snowman’s rosey cheeks. Luckily, I did Autumn’s when she had fallen asleep on the couch one afternoon. 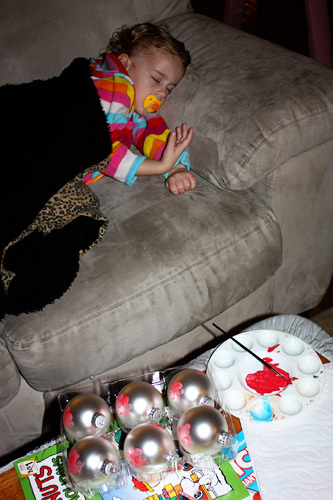 She rarely naps, so this was a perfect opportunity to paint her little finger red and to get fingerprints on six ornaments. She had her little hand just posed for me– ha, ha! And, she did not even wake up! 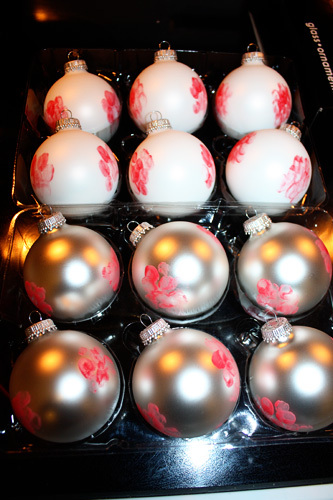 And, here are the ornaments on the tree. 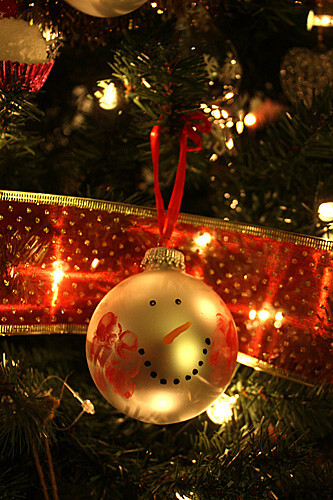 I have a whole section on our tree for the ornaments the kids have made… it is my favorite part of the tree.